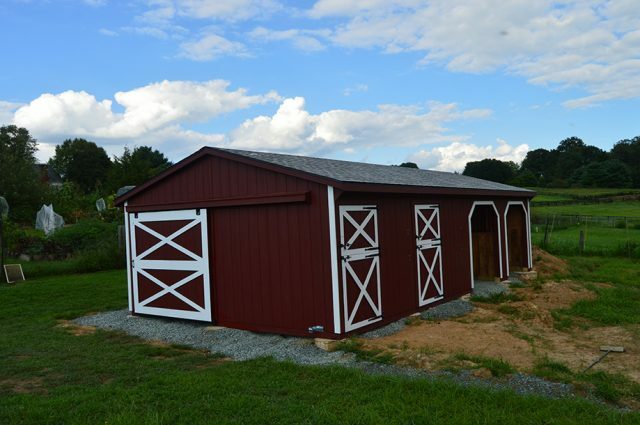 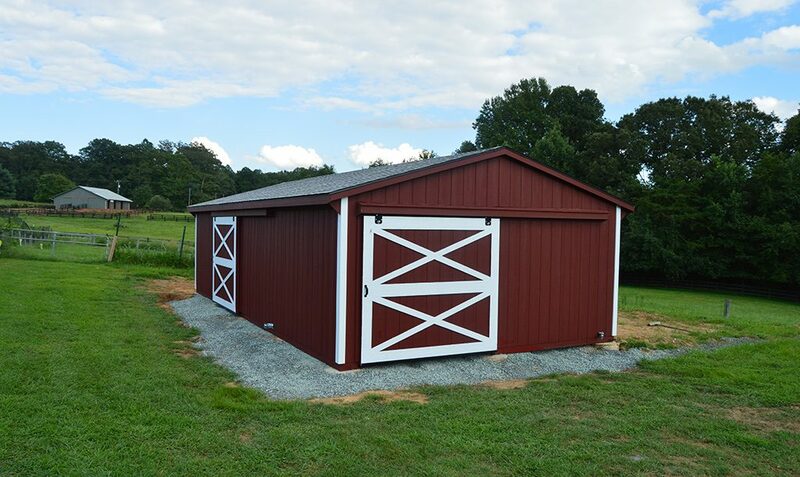 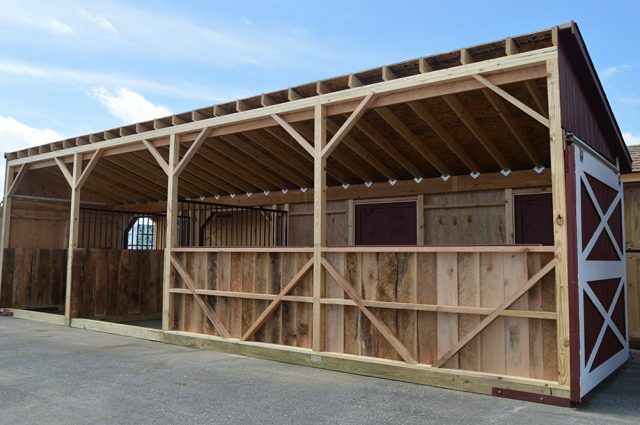 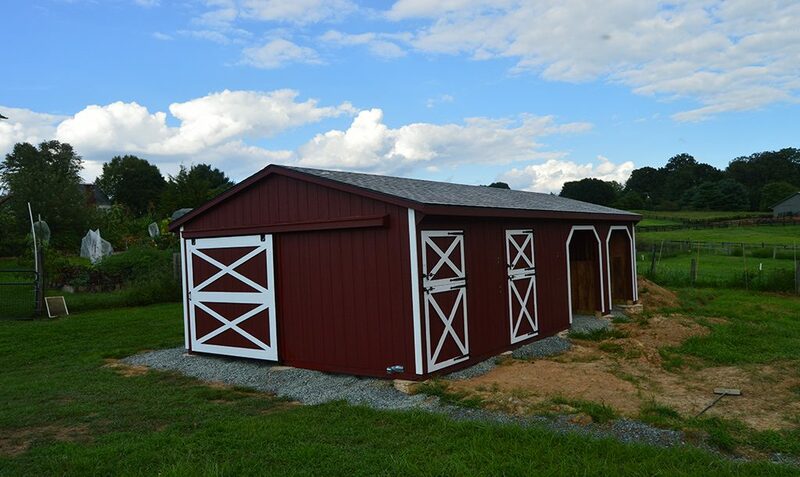 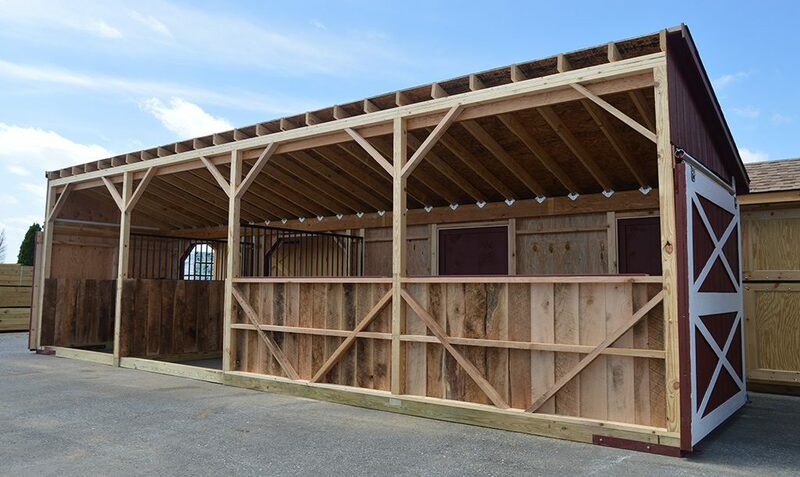 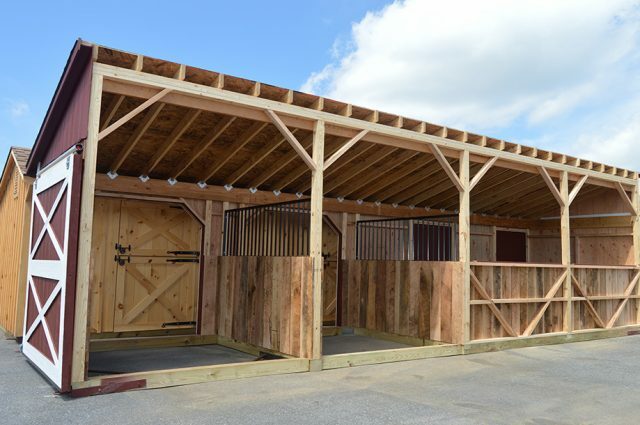 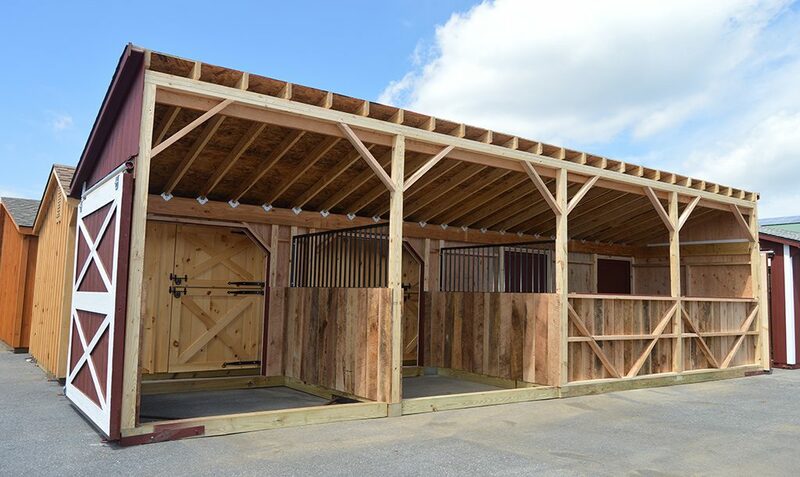 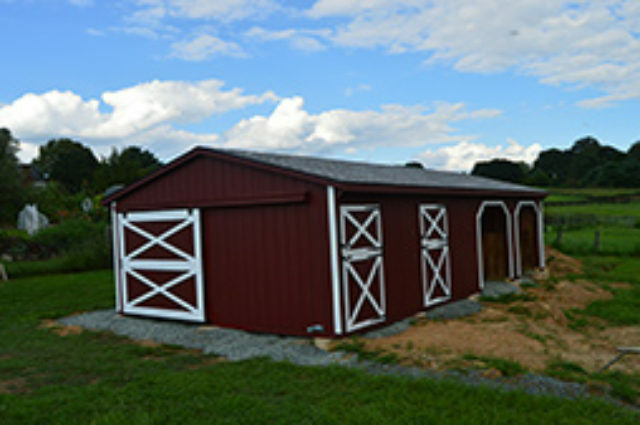 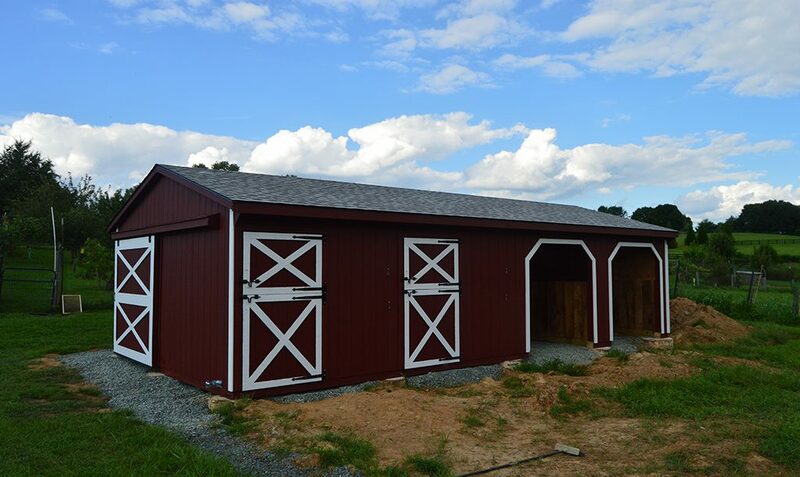 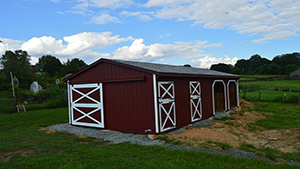 With 2 stalls, 2 run-ins, and a large storage room, this 16’x32′ Trailside barn was custom built to meet all of our client’s wishes. 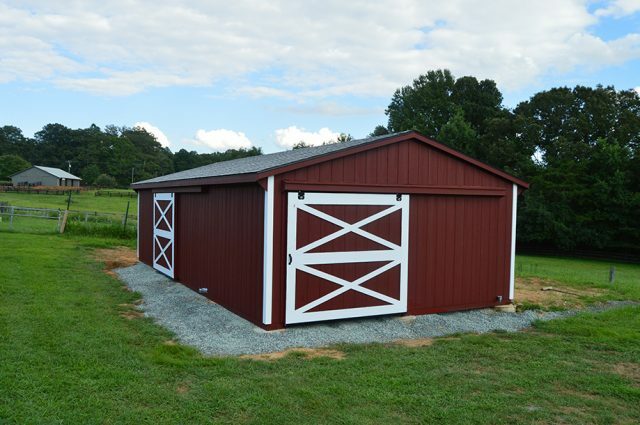 It is structured with Duratemp T-111 siding and painted red with white trim. 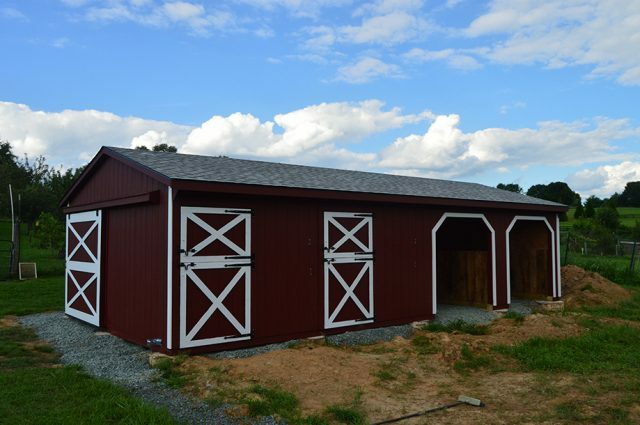 This build also features 3 7’x7′ sliding doors.